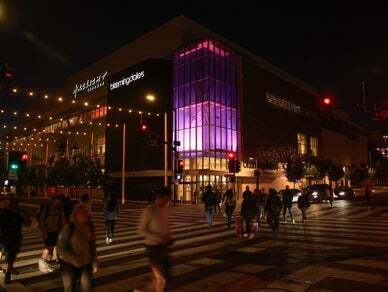 Savor the moment at Santa Monica Place — a modern shopping & dining destination located in the heart of Santa Monica. The contemporary mix of stores and restaurants are designed as inspiration for your individuality. Located two blocks from the beach and just steps from Third Street Promenade, there is so much to explore so get lost in everything about Santa Monica. Show your out-of-town ID at our Concierge Lounge located on Level 2 by Bloomingdale's for your Visitor Savings Card with up to $750 in savings from participating stores and restaurants. Show your badge to the Santa Monica Place Concierge located on Level 2 by Bloomingdale's to receive your complimentary Visitor Savings valued at $750 in special savings and offers at participating stores and restaurants.